This study has been funded by the Global Carbon Capture and Storage Institute (GCCSI), through the IEA Greenhouse Gas R&D Programme (IEAGHG). 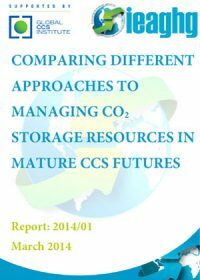 The report ‘Comparing different approaches to managing storage resources in mature CCS futures’ summarises the potential for surface and subsurface interactions which might occur during CO2 storage operations. It reviews the regulatory approaches in jurisdictions active in carbon capture and storage (CCS) to managing such interactions and the consequent potential adverse impacts. 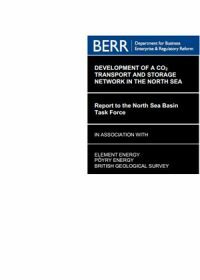 The authors discuss possible options for managing these interactions to provide timely storage capacity, illustrated with a regional case study from the Southern North Sea. The report has been written by contributors from US, Australia, Netherlands and Canada, under the lead of the British Geological Survey, United Kingdom. This paper presents information by the Joint Industry Project established to monitor CO2 storage at the In Salah geologic carbon sequestration (GCS) project in Algeria. The authors describe the methods for measurements and surveys, and explain the results for the 2009 monitoring program. Concluding remarks note that in spite of the environmental factors and scarcity of vegetation, plant diversity is relatively high, and that soil gas data did not indicate any CO2 leakage except possibly at KB-5. 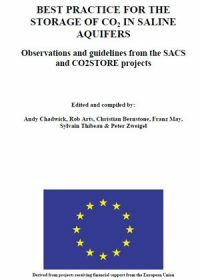 Many of the research results from the SACS and CO2STORE projects are published in the scientific literature but in a somewhat disseminated form. This report aims to consolidate some of the key findings into a manual of observations and recommendations relevant to underground saline aquifer storage. The work builds upon and complements earlier best practice manuals from the SACS/SACS2 and GEO-SEQ projects (SACS, 2003; GEO-SEQ, 2004), and aims to provide technically robust guidelines for effective and safe CO2 storage in a range of geological settings. 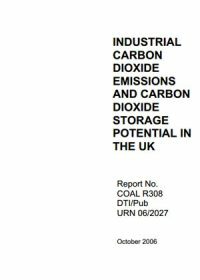 This will set the scene for companies, regulatory authorities, non-governmental organisations (NGOs), and ultimately the interested general public, in evaluating possible new CO2 storage projects in Europe and elsewhere.